There is nothing like the taste of smoked meats, but they can be pretty expensive to buy. You can save a lot of money by smoking your own meat, and there are several different types of smokers available in all price ranges that will do the job nicely. Take the Traeger TFS60LZC Select Elite grill and smoker. With this unit, you can smoke everything from beef to ham to poultry and even fish, and you can grill other foods at the same time. Today we are going to review this grill and smoker and see how it stacks up. The Traeger TFS60LCZ Select Elite is an all-in-one outdoor cooker that allows you to smoke meats and grill delicious meals, all without ever having to use charcoal or propane again, because you will be using hardwood pellets for that natural wood-smoked flavor. This is actually a six-in-one cooker that you can use for grilling, smoking, baking, roasting, braising, and barbecuing. No matter what you are in the mood for, you are going to be able to make it on this cooker. The Select Elite is one of the latest in a long line of grills and smokers from Traeger, a name that has been trusted in the grilling industry for more than 30 years. 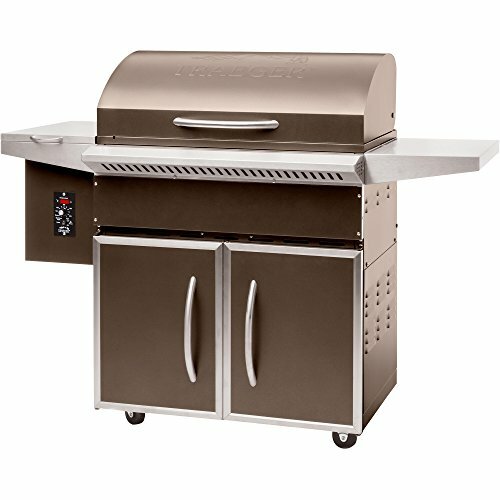 Not only is it extremely functional, it is also attractive, with its bronze color making it really stand out from other grills. If you are just looking for a simple grill to barbecue burgers on once in a while, this is not the grill for you. 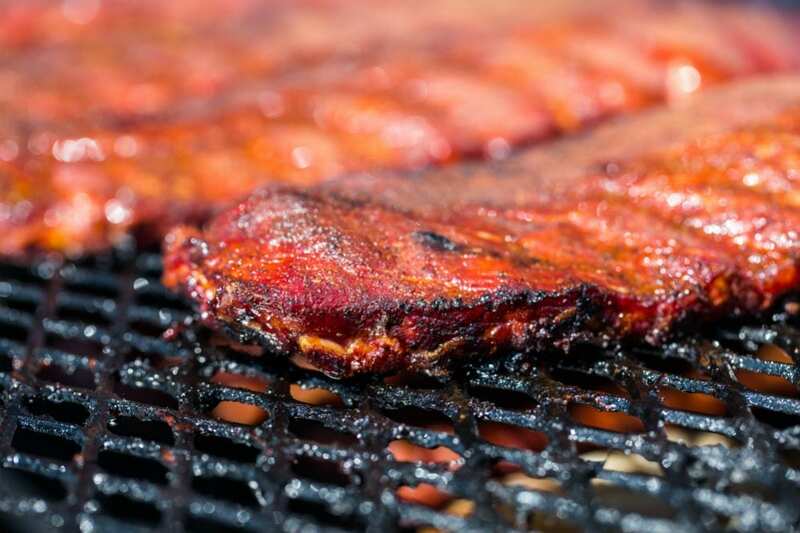 But, if you love smoked meats and you want to try your hand at smoking, or if you are already a smoking expert who wants a great grill, this is an option to check out. At its price point, it is right in range with other comparable models, but it can do so much more. The best thing about this grill is that even if you are a beginner, you are going to be able to grill and smoke meats with ease, and your food will come out delicious every time. All you have to do is prepare your meat, place it in the smoker, set it, and forget it. All parts and hardware you need to assemble the Select Elite are included. It would be nice if the tools were also provided, but you will have to make do with your own. Also included with this grill and smoker is the Digital Elite Controller, which makes setting the grill as easy as setting the temperature on your oven. It also comes with a three-piece non-stick porcelain grill grate that is easy to clean, so you can spend less time cleaning and more time grilling and smoking. Instead of using propane, which tastes horrible, or charcoal, which gives off way too much smoke, this grill uses 100% hardwood pellets that contain no fillers or binding agents. You will enjoy a delicious wood-smoked flavor every time. The Select Elite has plenty of storage space beneath the grilling area. This dual-door storage space can easily fit up to two bags of pellets, as well as your grilling tools so everything is handy when you need it. For easy grill-side food prep, or to have a place to let meat rest before serving, there are stainless steel side shelves that are durable and easy to clean. This grill has easy-glide wheels that allow you to move it around when necessary without having to struggle. The locking casters make sure that it stays in place wherever you decide to place it. One of the things that we don’t like about the Select Elite is the fact that it can be difficult to assemble. It will take a couple of hours to put it properly together so that everything fits together, the cover is in properly alignment, etc. Maybe you love the features of the Select Elite, but it is just too large for the space you have to work with. Never fear, because there are many other great grills/smokers available that are much smaller but will still do the same job (just not on as large of a scale). For instance, the Camp Chef PG24DLX has many of the same features as the Select Elite (minus the storage area), and it is a lot more compact, so it will even fit onto small decks. It also costs a lot less than the Traeger Elite. If you love backyard grilling, smoking, etc., and you want to take your outdoor cooking skills to the next level, you need to check out everything that the Traegar Select Elite has to offer. You will be amazed at its versatility, and there is almost nothing that you can’t prepare on this grill. It will be perfect for those hot summer days when you want a good meal, but you don’t want to use your oven and heat up the house.